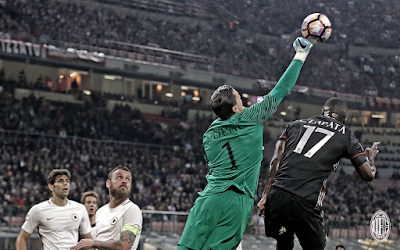 Milan fans have been high on the grinta Kool-Aid all season long, and coming down from that high is very painful. The truth hurts, and the truth is that Roma have a squad built to contend for the Scudetto and Milan have a squad that is at best built to stave off relegation. Lazio destroying Roma last week gave us hope that Roma would roll over and play dead for us, but that was not to be. The wolves smelled blood and attacked relentlessly, only allowing us a single consolation goal. Disparity is the word most commonly used amongst pundits for this match. The disparity of talent between the two squads is ridiculous. We love our players, and those who have scored big goals or otherwise had big moments are heroes to us, but when put in the gladiator ring, they don’t stand a chance. And neither did the team as a whole, really. The pain began early, when Dzeko scored a screamer from just inside the box in the eighth minute. 1-0 Roma. We had some chances, they had some chances, and then once again Dzeko scored in the 28th. 2-0 Roma. 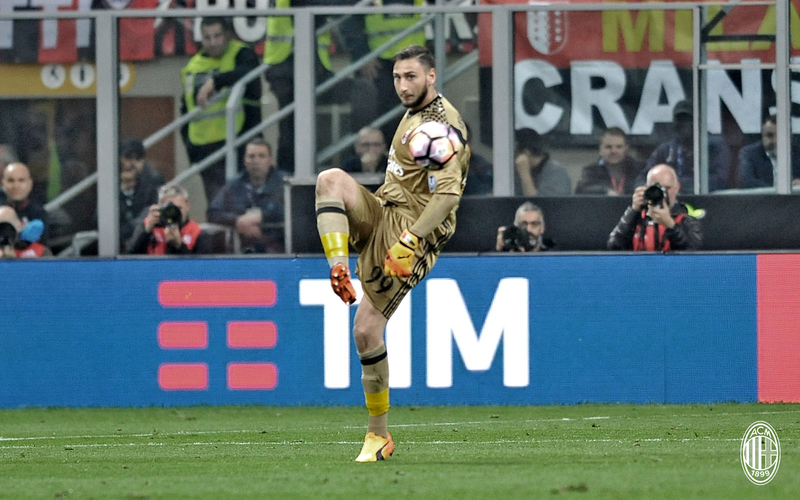 Roma would take 17 shots in the first half alone, a Serie A record this season for poor Donnarumma to face. In all, they would take 24 shots with ten on target. Montella started off the second half replacing Mati Fernandez with Bertolacci, just coming back from injury. I’m not sure if he forgot what Bertolacci could and couldn’t do, but it certainly wasn’t an impact sub. Then came the parade of cards. Rizzoli, doing his best referee impersonation, gave Vangioni a yellow in the 48th, Lapadula one in the 59th, and Bertolacci and Manolas each one in the 63rd, when he was losing control of the match. 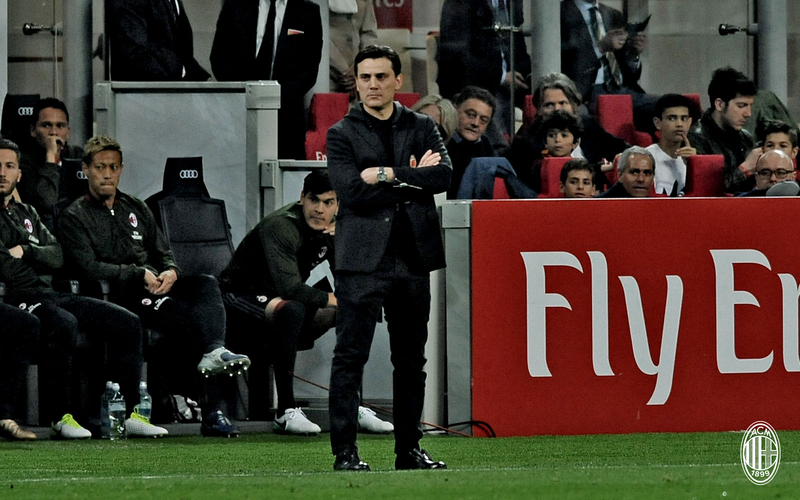 Montella subbed off Vangioni for Ocampos in the 69th, which is like trading in a wooden nickel for a coin slug. Donnarumma had a nice save on il Faraone in the 74th, which clearly inspired Pasalic to score the consolation goal from a corner in the 76th. 2-1 Roma. But El Shaarawy came back for more in the 78th to make it 3-1. In the meantime, Ocampos’ contribution to the match was to earn himself a yellow in the 77th. Not to be outdone, Paletta gifted Roma a penalty in the 86th by earning a straight red, his fourth of the season. That puts him top in all five major leagues in Europe… for the most red cards earned in a season. To put that into perspective, the entire squad (including him) only earned three red cards all last season. That…. that is… well, that is something, I guess. So with Milan on ten men for the last five minutes, De Rossi stepped up and converted the penalty to make it 4-1 Roma. Ouch. 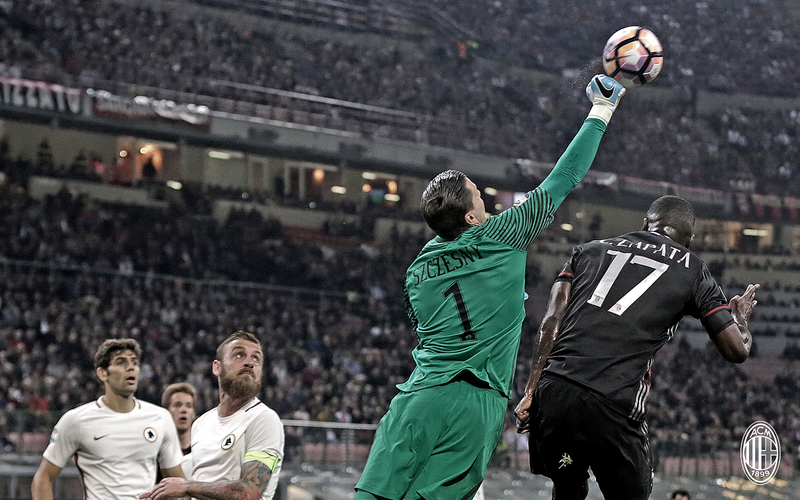 But never one to throw in the towel, Montella subbed Sosa off for Gomez. Because, you know, our defense wasn’t shambolic enough already. I would say “this is why we can’t have nice things,” but the truth is we really don’t have nice things, and we should not be expecting as much as they’ve already given us this year. Spalletti, on the other hand is shameful. In his squad, he has the King of Rome, a legend in his own right, the royal Francesco Totti. The man had four games left in his career, and the man who spent much of his coaching career with a landing strip for facial hair didn’t have the class or decency to give him even five minutes. Even Milan’s Curva, who attacked our own player two weeks ago, made a banner honoring the rival and legend that is Totti. What is wrong with Spalletti? The man has played for over 25 years, and he can’t even have five minutes? Vergogna. So all in all, a bad day was just really, really bad. El Shaarawy didn’t celebrate his goal, but it didn’t stop me from being instantly nauseated and infinitely sad all at once. Everything else was a blur of pain, and missing our chance to watch Totti play one last time at the San Siro just ruined a perfectly good Inter-lost-again high. The man has three games left in his career now, and if I were Spalletti, I’d play him as much as I could. The loss hurt, I’m not gonna lie, but then again, the truth hurts. Bad.